← Latin@s in Kid Lit is Now on Pinterest! DESCRIPTION FROM THE BOOK JACKET: There are two secrets Evelyn Serrano is keeping from her Mami and Papo: her true feelings about growing up in her Spanish Harlem neighborhood, and her attitude about Abuela, her sassy grandmother who’s come from Puerto Rico to live with them. Then, like an urgent ticking clock, events erupt that change everything. The Young Lords, a Puerto Rican activist group, dump garbage in the street and set it on fire, igniting a powerful protest. When Abuela steps in to take charge, Evelyn is thrust into the action. Tempers flare, loyalties are tested. Through it all, Evelyn learns important truths about her Latino heritage and the history makers who shaped a nation. Infused with actual news accounts from the time period, Sonia Manzano has crafted a gripping work of fiction based on her own life growing up during a fiery, unforgettable time in America, when young Latinos took control of their destinies. MY TWO CENTS: The Revolution of Evelyn Serrano (a Pura Belpré Author Honor Book) by Sonia Manzano opens with a frustrated fourteen year old Evelyn getting ready for her summer job at the Five-and-Dime. Her desire to fit in to American society and distance herself from her Puerto Rican heritage is disrupted when her Abuela comes to stay with them. Abuela’s orange hair and bright clothes make her anything but the traditional grandmother Evelyn expected. Abuela taking over Evelyn’s bedroom with makeup, hair rollers, and flashy clothes is only the first of many changes that serves to transform Evelyn’s understanding of her own identity. While Abuela’s presence creates tension in the Serrano household, a new youth group arrives to challenge discriminations against their neighborhood. The Sanitation Department eventually stops picking up the garbage, and as it continues to accumulate, so does the tension around the Young Lords’ intent to politicize El Barrio. The rise of the Young Lord’s movement gives Abuela and Evelyn an opportunity to discuss the relationship between what is presently happening in their community and the Ponce Massacre (1937) of which Abuela has kept newspaper clippings. The Young Lords organize El Barrio in a way that Evelyn has never experienced, and their demonstrations and marches provide El Barrio with a visibility they later utilize to demand social change. As the political situation intensifies in El Barrio, Evelyn and Abuela become more involved with the Young Lords. Their involvement creates a rift between them and Evelyn’s mother, but it is through all of this process that Evelyn recognizes the importance of her Puerto Rican heritage. Among many things, Manzano’s The Revolution of Evelyn Serrano is a historical young adult novel. (Re)tellings and (re)imaginings of history are currently a popular strategy in Latina/o Children’s and Young Adult Literature. Like Juan Felipe Herrera’s Downtown Boy (2005) and Bejamin Alire Saenz’s Aristotle and Dante Discover the Secrets of the Universe (2012), Manzano asks that today’s young adult reader travel back to a time when their grandparents and/or parents were children and adolescents. This literary move to focus on a historical event is brilliant for many reasons. First, it asks Latina/o readers to examine their own background as a way to understand their present identity. In The Revolution of Evelyn Serrano, it is extremely significant that there are moments of reflection that help Evelyn understand that her presence in El Barrio is not coincidence. In other words, Evelyn needed to learn her parents’ and grandparents’ journeys to understand her own identity and her relationship to El Barrio. Secondly, novels like Manzano’s center stories that have remained marginalized in mainstream history books. Evelyn is such a wonderful character precisely because she sounds and behaves like a typical teenager. At the beginning of the novel, Evelyn wants nothing to do with her parents and their stories. She is embarrassed of them and her community—and this right here is a very honest and common feeling (that too often remains silent) among Latino children and teenagers of (im)migrant parents. Throughout the novel, Evelyn learns to center her Puerto Rican culture as a way to find empowerment rather than to feel embarrassed by it. Lastly, Manzano’s novels, and others like hers, create intergenerational discussions around issues of discrimination and gender (to name a few themes present in Evelyn Serrano). In other words, novels like these emphasize that significant social change requires a community talking to one another. While the Young Lords were central in the mobilization of El Barrio, it was also with the support of their elders and younger members that they were able to stand strong against the discrimination the community faced. The Revolution of Evelyn Serrano presents a genuine story of identity formation for a young Latina coming of age at a moment in U.S. history when Latinos are violently forced to assimilate into mainstream society or risk their lives by speaking up and challenging the discrimination they experience. TEACHING TIPS: When teaching The Revolution of Evelyn Serrano, it will be helpful to provide a historical context for the novel from which to guide student discussion. Manzano provides a bit of this discussion in her afterward where she explains that the events in the novel are based on true events. The Young Lords: A Reader (2010) edited by Darrel Enck-Wanzer and Palante: Voices and Photographs of the Young Lords, 1969-1971 (2011) are excellent resources for educators to learn more about the group’s history, motivations, and outcomes. Pairing the novel with some of the essays in these sources for more advanced or older students can also provide a basis for discussing race, class, and gender both within the party and in the context of the US. A thematic approach to teaching Manzano’s novel can be one way to broadly discuss the Civil Rights Movement and relating topics. Novels like Rita Williams-Garcia’s One Crazy Summer (2011) about three young African American sisters and their adventures with the Black Panthers and children’s books like Monica Brown’s Side by Side: The Story of Dolores Huerta and Cesar Chavez (2010) about the leaders of the farm workers’ movement can provide rich conversations about the array of issues impacting people of color at this time. Discussing children’s and YA books on the Civil Rights movement not only allows students to learn more about specific racial discrimination and community empowerment but also creates opportunities for students to discuss how those issues impact them now. Another approach to teaching the novel is to discuss characters and character development. Evelyn’s relationship with her abuela is a complicated one because they have different personalities and because Abuela represents a cultural heritage Evelyn wishes to avoid. Their relationship, however, is central in the novel. Other YA novels like Claudia Guadalupe Martinez’s The Smell of Old Lady Perfume (2008) and Sandra Cisneros’s Caramelo (2003) present similar granddaughter/grandmother relationships wherein both characters engage and learn from one another. Asking students to interview their grandparents or a family elder could be a possible assignment for students of any age to participate in an exercise similar to the character development of the protagonists they read. AUTHOR (from her website): Sonia Manzano has been a presence on Public Television since the 1970’s. Raised in the South Bronx, she attended the High School of Performing Arts. A scholarship took her to Carnegie Mellon University in Pittsburgh, and in her junior year, she came to New York to star in the original production of the off-Broadway show, Godspell. Within a year Sonia was cast as “Maria” on Sesame Street. After ten years as an actress, Sonia began writing scripts for the series and has fifteen Emmy Awards as part of the Sesame Street writing staff. Sonia also wrote for the Peabody Award winning children’s series, Little Bill, for Nickelodeon and for a short time wrote a parenting column for the Sesame Workshop web site called Talking Outloud. In addition to The Revolution of Evelyn Serrano, Manzano has written two picture books: No Dogs Allowed! and A Box Full of Kittens. FOR MORE INFORMATION ABOUT The Revolution of Evelyn Serrano visit your local library or bookstore. Also check out worldcat.org, indiebound.org, goodreads.com, amazon.com, and barnesandnoble.com. Sonia Alejandra Rodríguez has been an avid reader since childhood. Her literary world was first transformed when she read Rudolfo Anaya’s Bless me, Última as a high school student and then again as a college freshman when she was given a copy of Sandra Cisneros’s The House on Mango Street. Sonia’s academic life and activism are committed to making diverse literature available to children and youth of color. Sonia received her B.A. in English from the University of Illinois at Urbana-Champaign. 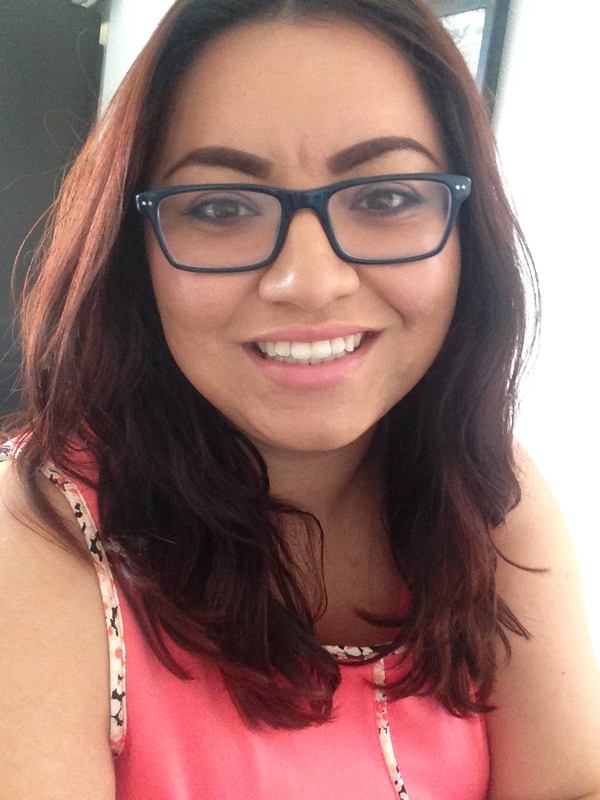 She is currently a PhD candidate at the University of California, Riverside, where she focuses her dissertation on healing processes in Latina/o Children’s and Young Adult Literature. Sonia! This review is fantastic, particularly in how it helps us think about not only REVOLUTION but how we might frame historical YA fiction that engages with Latin@ experience, both in libraries (your book suggestions = instant display collection!) and in classrooms (I feel the units forming already). Thank you. I enjoyed hearing about this book, will share with those colleagues who teach older students. It’s great to have a book of historical fiction that shows family relationships in turmoil, too, like many families of teens. Thanks, Sonia, for reviewing the book. While I lived in Manhattan for a few years, I didn’t hear before about the Young Lords In El Barrio. I just read a summary of the events at the website of Virtual Boricua. Best wishes to Sonia Manzano with her book and to you with your studies. Great review! I really appreciate the way you contextualize how to use in the classroom, that’s so helpful for teachers who want to bring new literature into the classroom. This is a FANTASTIC review! I love how broad you took it; I think you offer a lot of entries into the book that will open it up to many types of readers – and teachers. Also, since you don’t have any contact information or a Twitter presence that I can discern – might I ask if you would be willing to contact me? I’d love to know more about your UC Riverside program! I’ve been considering it.